Student of Islamic University of Indonesia and Scientific writing enthuasiast living in Yogyakarta City. Ahmad Regi Fauzan updated their profile information. 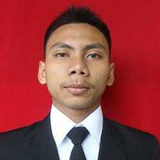 Ahmad Regi Fauzan changed their profile image.